Second Fermenting or ripening of kefir. The ripening of kefir changes the character of kefir and also enhances the flavor profile. The second fermentation is what follows after the first fermentation. The second ferment or ripening is when you remove the kefir grains and leave the kefir as is to mature for a little bit longer, this also gives you an opportunity to add fresh or frozen fruit, herbs, and spices to flavor the second ferment. I love second fermenting my kefir because it makes a thicker, creamier kefir that tastes, Oh, so delicious! 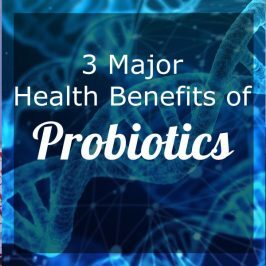 When adding the flavoring, you are adding more food for the good bacteria and this increases the nutrients and probiotic profile of your kefir. Second Fermentation of Milk kefir increases the nutritional value. B VITAMINS, Milk kefir contains B1, B12, and Biotin. Second fermentation increases these vitamins significantly. CALCIUM & MAGNESIUM Milk kefir contains up to 20% of the RDA of Calcium and 5% of the RDA of Magnesium. The bioavailability of both these vitamins increases with the ripening of kefir. PROBIOTICS. because of the added fruit, there’s enough food for the probiotic bacteria to increase in numbers during the second ferment. LACTOSE is reduced because it’s eaten by the enzymes produced by the probiotic bacteria. Lactose intolerant people have found that they can drink kefir without little or any discomfort and this is because of the enzyme lactase present in kefir. When you drink kefir the lactase gets a chance to enter the body and populate the gut helping the individual to break down the lactose effectively. Milk kefir contains more probiotics than all the other fermented milk products but for those who want to steer clear from dairy, there’s also a dairy-free kefir recipe to try out, or try out water kefir or perhaps making cultured vegetables instead. Ripening of kefir can be done in 4 – 24 hours, depending on the temperature it’s stored in. Warmer temperatures make it go quicker, therefore it will be done in a shorter period of time when it’s hot. With the second ferment, you’ll remove the kefir grains after the first ferment, with the second ferment the bacteria that already populated the kefir will continue to do the work by eating the milk sugars, lactose and continue multiplying. With the second fermenting or ripening, it’s best that the jar is closed with a solid screw on or clamp down lid. This will also increase carbonation. 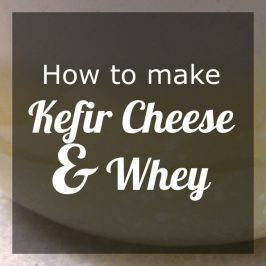 Make kefir as per usual and remove the kefir grains. 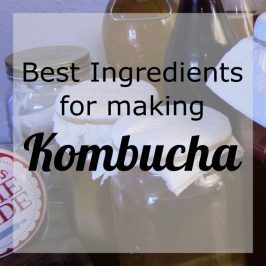 Use a glass jar with a solid or clip top lid to second ferment your kefir in. Add your kefir to the clean jar. Flavoring can be done by adding fruit, spices, juices, herbs, honey, and even teas. This will allow you to enhance and change the flavor. My favorite flavoring is with citrus, second fermenting kefir really results in a less sour and creamier kefir! 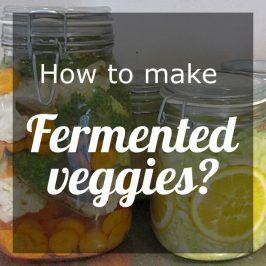 you can do your second ferment on the countertop for a couple of hours 4-24 hours or in the fridge and leave it there for 5 days to a week. Separation is a natural thing that happens when kefir is fermenting for a while. It might look different but it’s still good to use or drink. 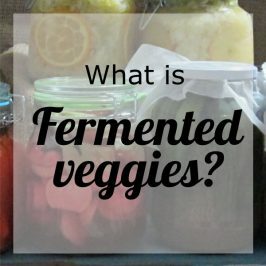 The clear liquid you see is known as the kefir whey that can be used to ferment other things like fruit chutneys, condiments or use it as a starter to make fermented veggies. Just mix or shake it up and get a drinking consistency again. 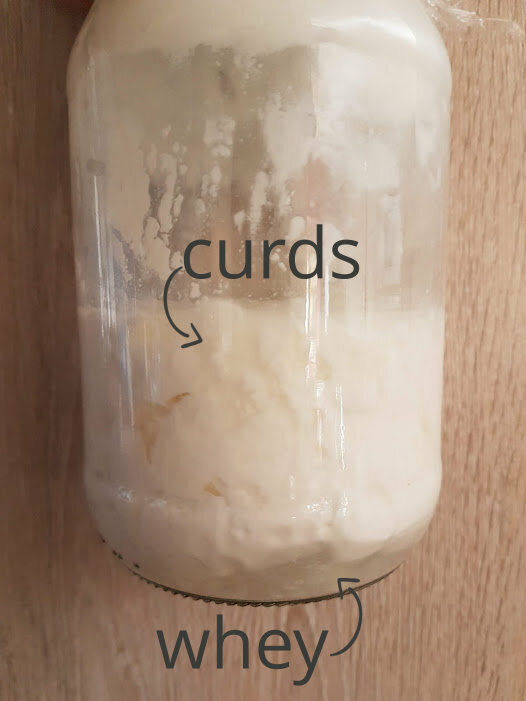 This picture shows kefir that’s in the beginning stages of separation, the kefir can be mixed together again and it can be consumed as normal, it’s perfectly natural. The picture above shows what Separated kefir looks like. No need to feel alarmed, It’s still fine! It can be strained to make kefir cheese or stirred in and served to drink. It may be lightly fizzy and it might be tarter than usual. There are those of us who might find the sharp and sourness of finished raw kefir a little harsh on the taste buds. People who prefer their kefir on the less sour side are usually advised to stop their ferments earlier so that they do not become so potent. 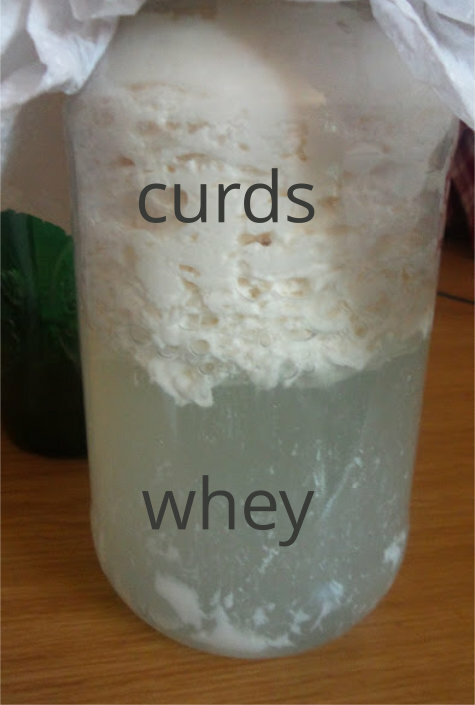 When you see whey pockets starting to form would be a good time to strain your kefir. 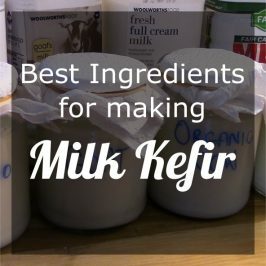 Have you tried 2F (second fermenting) milk kefir lately? Have you experimented with the different ways of 2F, let me know what your favorite flavor was in the comments below.